Is Good Debt Always Okay? Defaulting on a loan basically means that you miss a repayment or fail to pay the full amount that is required each month for your loan, for a period of so many months. Usually, if it’s the very first time you’ve missed a payment, you will find that you simply get a warning from your loan provider that warns you that you need to make up for the payment that you have missed, and that you will need to take steps to avoid missed payments in the future. However, remember that if you have a hire purchase for a car or a secured loan, then the provider may threaten to take away your home or vehicle in an attempt to recover their costs. If you default on a repayment, your loan provider can take your debt and pass it onto a debt collection agency, or they may choose to take court action. In secured loans, they can even take away the property that is tied to your debt. On top of all of those problematic events, the missed payment will also show up on your credit report, which could significantly reduce your chances of being approved for credit cards and finance I n the future. Importantly, you may also end up being in arrears if you miss your loan payments, which means that you owe more interest than you did before. The less you pay back to your provider, the more the interest on your debt will accumulate. There may also be a fee for missing your repayment. Do you Really Need to Miss a Payment? If you’re worrying about money and you feel that you might not be able to make a debt repayment, it’s important to keep calm and be careful about the hierarchy of debts that you need to deal with. For instance, if you have unsecured and secured loans, the secured loans are the ones that you should avoid missing repayments on first. Defaulting on any loan is likely to lead to very problematic consequences like perhaps having a debt passed onto a debt collection agency, or moving into a position where you will be taken to court. For people who have a loan that is secured, items may be repossessed to make the payments that you have missed. You will also receive negative marks on your credit score which could severely impact your future. If you cannot repay your debts after an extended period of time, then you may have to consider other options in your finances, such as filing for bankruptcy. Crucially, this is not something that should be considered lightly as you may struggle to apply for a loan ever again after you are deemed to bankrupt. One route to avoid bankruptcy is to use an individual voluntary arrangement, which is an option that exists between the loan provider and customer which agrees to freeze interest and therefore cut down the amount that has to be repaid. While this has a negative impact on your credit score, it’s generally much less damaging than bankruptcy. How Not Repaying your Loans Impacts Credit Score? Ultimately, failing to repay your loans has a significant impact on your credit score. Not only does it show up on your credit report, but it also shows other lenders and loan providers that you might approach in the future that you may not be trustworthy enough to give credit to. Any missed payment shows that you cannot be trusted with debt, or that you cannot be relied upon to make the payments that you are asked for in time, or in full. Though you might think that getting a loan isn’t a big deal, if you have any plans to get a credit card, apply for a car loan, or even get a mortgage in your future, then your problems with repaying loans could make it impossible to do any of those things. Additionally, if you ever want to consider debt consolidation, your access to different consolidation options will be restricted. If you’re concerned about loan repayments and you want to make sure that you’re equipped to pay off your debt, debt consolidation can be a good solution. 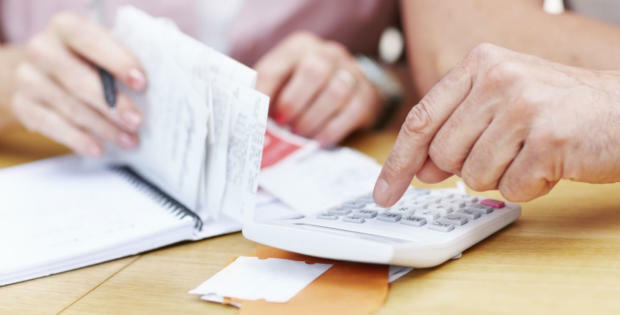 If all other avenues for budgeting have failed, debt consolidation could be a solution, though you may find that you need to pay more than you would if you could simply pay your debts as standard. Just remember that debt consolidation loans should be considered very carefully. A debt consolidation loan works because the provider essentially pays the debts that you owe, then you will need to repay them in a more flexible repayment plan. Even with debt consolidation loans, you will be expected to keep up with repayments. Debt is often split into good and bad debt. How these are actually defined can differ which means that it is not always easy to know whether good debt is always a good thing. Some would say that good debt is a debt that you have thought carefully about. You have weighed up the risks, made sure that you are confident that you can pay it off and compared lenders to make sure that you are getting the best deal. However, others go further and say that not only should the above be done but also the debt should be good value for money. An example would be a mortgage which leads to you having a home worth more than the amount you paid for it plus the cost of the debt or a student loan if it ends up with you getting a job that earns you significantly more or a car loan if you need the car to go to work and earn money. All debt needs to be treated with caution though. You should not just borrow money as soon as you need some more without thinking hard about it. Even if you are borrowing to buy a house and you are confident you will be able to pay it back, you need to consider the consequences. Every month that you have to make a repayment you will have less money to spend on other things. You may be able to manage that at the moment, but after five years or ten years or longer your situation may change and that repayment may just be too much. A mortgage repayment does tend to be lower than rent though, so it can make financial sense, but just make sure that you do not end up borrowing more than you can afford. This means that you should find a home of a suitable price for your budget which means that location and size will be really important and you may have to compromise to get something that you can afford. Some people fear all debt. This can hold them back as good debt can be really useful. If you borrow money to buy a home, get an education or expend a business, you could find that in the long run you will be much better off financially as you will find that the borrowed money will act as an investment and you could get a lot more back than you paid for the loan. It would be a shame to not take the opportunity of doing these things if you could not afford it without going into debt. Obviously being cautious is good. You need to think through the decision and make sure that it is right for you. Make sure that you will be able to make the repayments and that whatever you are spending the money on with be worthwhile. Consider perhaps whether doing a psychology course is worthwhile compared to a course in journalism, one of which can lead to a career and the other may need further qualifications in order to lead to a good career. The same as when buying a home, you need to consider whether it is a property that will gain in value, whether it is in good condition or if you have to invest more money in it and whether the location is a place which is likely to increase in value. It can be wise to discuss this with someone else. It can be difficult not to get emotional when you are planning a future project such as buying a home so logically talking to someone who is not emotional could help to clarify your thoughts and apply more straight thinking. A financial advisor could be a lot of help as well, as they will be able to let you know which sort of loan would be the most suitable and which of those is the cheapest. Although you will have to pay them, they should save you money in the long term if they make good recommendations. Some people are not good at budgeting and not good with money. This means that if they have any sort of debt they struggle with the repayments because they do not leave themselves enough money to be able to afford them. If you are like this then it could be wise not to get any debt at all. You could end up getting yourself into a lot of trouble if you do. You will know if you are this type of person, perhaps because you spend any money you have really quickly or because you have been in trouble with debt before. You may find that your credit record is not good anyway and so you will not be able to borrow any money anyway. However, you may still be given the opportunity to borrow so make sure that you do not take it. If you feel that it will be unwise for you to do so. Let’s face it, we all see times in our lives when we might need a little extra help with things like bills or unexpected costs. Unfortuantely, most of us find that we simply don’t have the savings required to pay for the expenses that occur in our day to day lives on a whim. That’s why it’s so essential for most people to consider alternative solutions for finance, like credit cards and loans. The unfortunate truth of loans is that although they can be very beneficial and helpful for those who need them most, they can also come with a range of risks and concerns that need to be considered very carefully if you want to avoid problems like debt and bankruptcy. Getting into a loan situation without the right amount of forethought and planning could leave you in a very dangerous position wherein it’s very difficult to get back on track. Personal loans, which are otherwise known as unsecured loans are loans that allow your borrowing to function according to your personal credit rating. You can borrow up to a set amount of cash from a credit union or bank and the maximum amount of time for repaying that loan is usually around 10 years. Secured loans are more dangerous for many people than unsecured loans, but they also offer greater flexibility too. 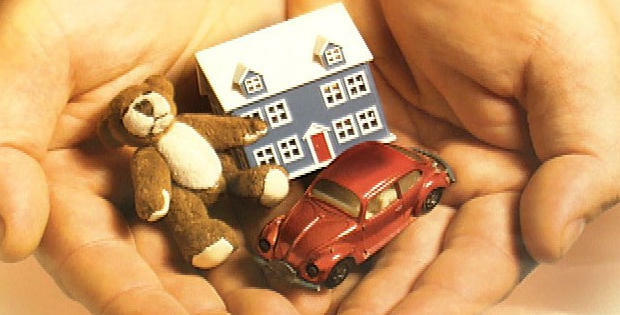 Secured loans require you to use your property as a security against the loan. This means that if you default on your repayment, you could end up losing your home. Debt consolidation loans are a type of loan that allows you to move all of your debts and loans into a single account. For instance, if you have credit card debts sitting in an overdraft, you can move them over to a debt consolidation loan to make it a little easier to pay back the money that you owe. The loan that you choose will depend on your personal circumstances and what you’re trying to achieve with your finances. When you’re taking out a loan you need to consider a host of very important factors to avoid getting yourself into trouble that you can’t easily get out of. For instance, you need to make sure that you never borrow beyond your means. This usually means that you’ll need to check on details like the APR of your loan to determine how much you will need to pay back to the person giving you the loan each month. Additionally, you’ll need to be aware of any specific rules or guidelines that are linked to your loan that could end up causing problems further down the line. The more that you know before taking out a loan, the more chance you have of making an informed decision about your borrowing. Since it’s crucial to ensure that you aren’t putting your finances or yourself in danger, make sure that you ask any questions you might have about your loan or lending in advance to avoid further problems in the future. Since the best way to avoid problems with your loans is to pay them back on time, it makes sense that many people might assume that it’s a good idea to pay back a loan long before the end of that loan’s term. However, the truth is that this can be more dangerous than you think. Comparing loans can sometimes lead to confusing terms like early repayment charges or penalties, and you will need to consider these issues carefully before making a decision about your loan. If you think that you might want to pay your loan back early, then it’s crucial to speak to your lender about this before you agree to any specific loan terms. This will help you to reduce your chances of suffering from early repayment charges. While there is no set amount for these charges, an early repayment cost is usually the equivalent to a couple of months of interest. The earlier you repay your loan, the higher the charge might be, as your loan provider will want to make up the money that they otherwise would have earned on interest. Avoiding early repayment charges is all about searching for a loan that is as flexible as possible when you begin considering the options available to you for borrowing money. 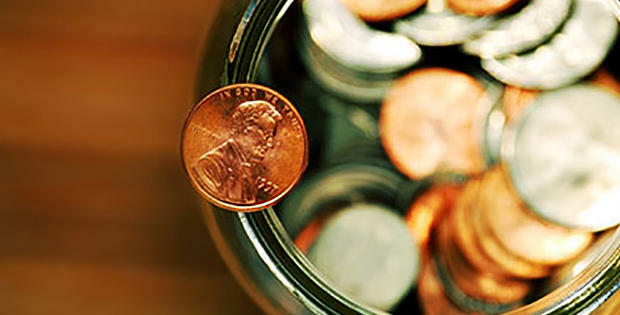 Ask questions about early repayment charges in advance when possible. King Wenceslas Copyright © 2019.